The Sorrento Peninsula is at the heart of a generous and rich land, full of attractions and places to discover. Sorrento is the ideal starting point to explore the many places of historical, artistic and natural interest in Campania. The two gems of the Amalfi Coast: Positano, beloved destination by the glamorous jet set of culture and art, famous for its cascade of white houses lying on the rock that slopes into the sea. 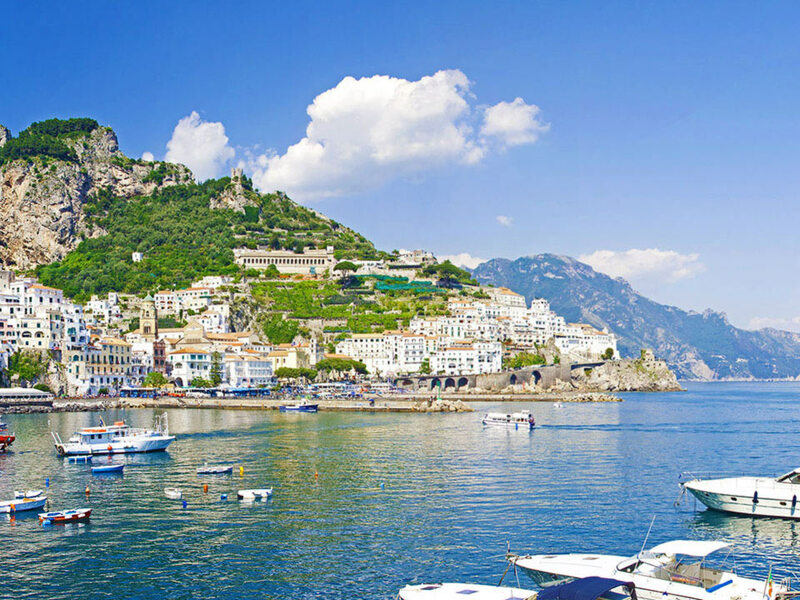 Amalfi, an ancient maritime republic, a treasure chest full of countless beauties, including the Cathedral with the annexed Cloister of Paradise in Moorish style. 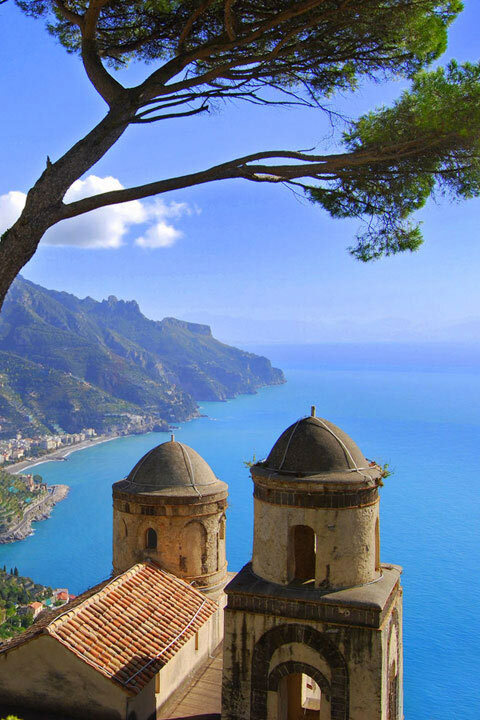 And Ravello, the city of music, with its villas and beautiful gardens that Wagner loved so much. 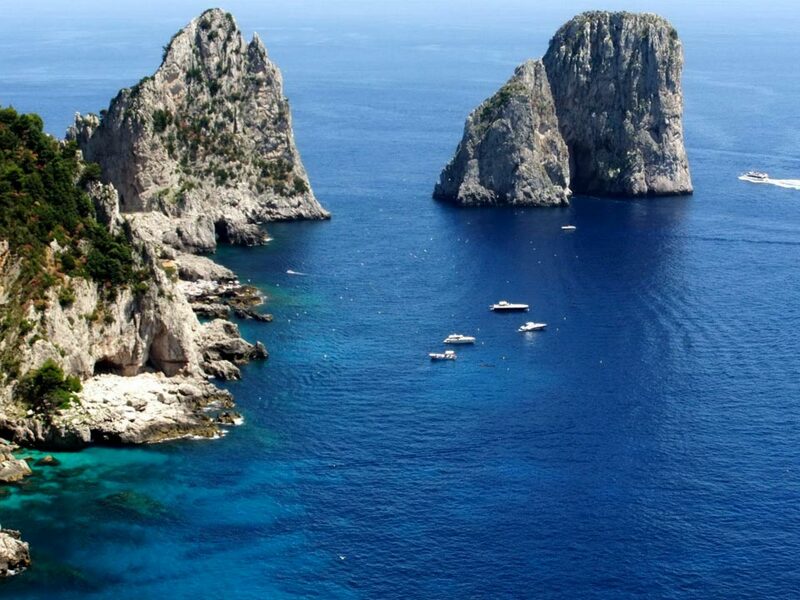 The two most beautiful islands in Campania. 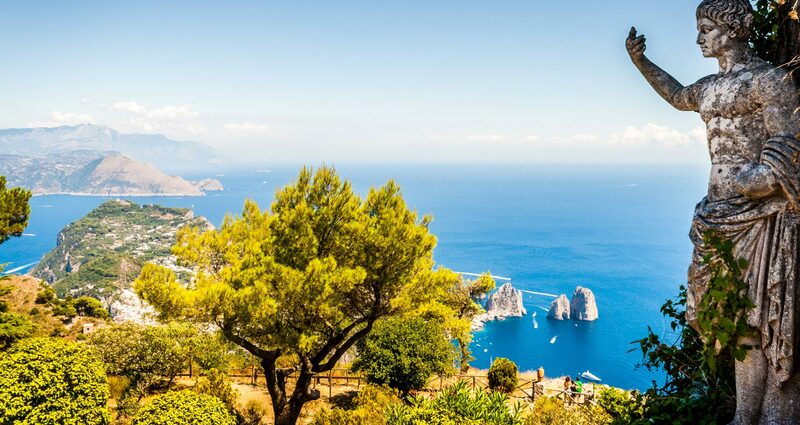 Capri, glamorous destination and place of a thousand attractions, such as the picturesque square, the shopping streets, the archaeological findings, the gardens, the beaches with a crystal-clear sea. 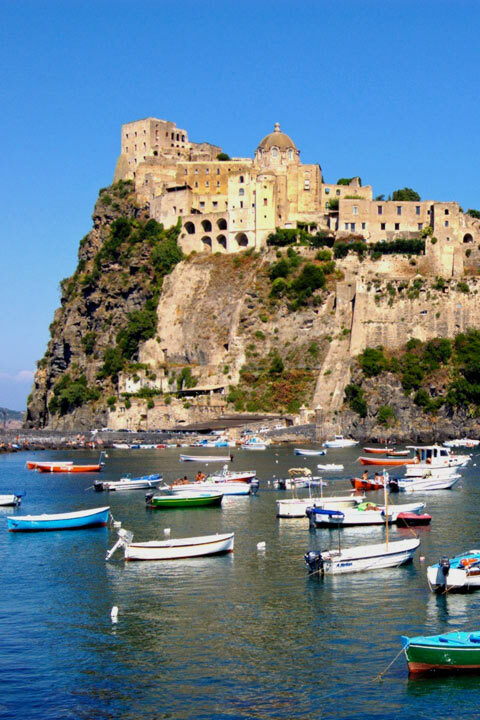 Ischia, the green island, with its villages, thermal springs, the monuments and the wonderful views. An unforgettable experience of nature, art, history, and well-being. The ancients considered it a mountain, whose silhouette dominated the whole the Gulf of Naples. An area of fascinating nature, rich in itineraries and paths. The eruption of AD 79 has shown everyone the real façade of Mount Vesuvius. 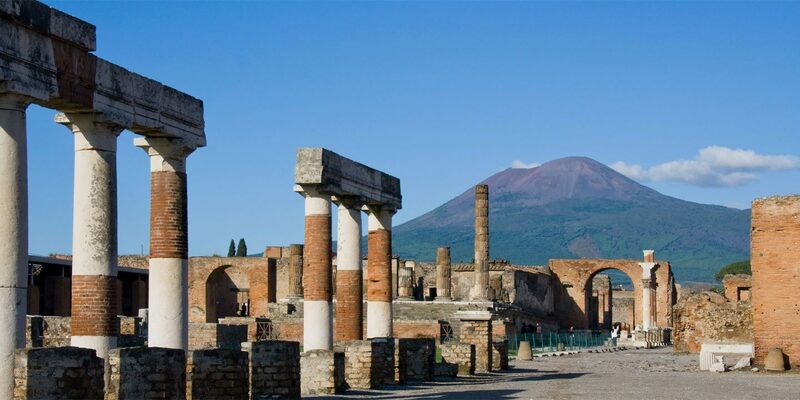 The inhabitants of Pompeii and Herculaneum have tragically discovered the true nature of the mountain, but their sacrifice has given us two of the most suggestive places in the world. Info available at our front desk. 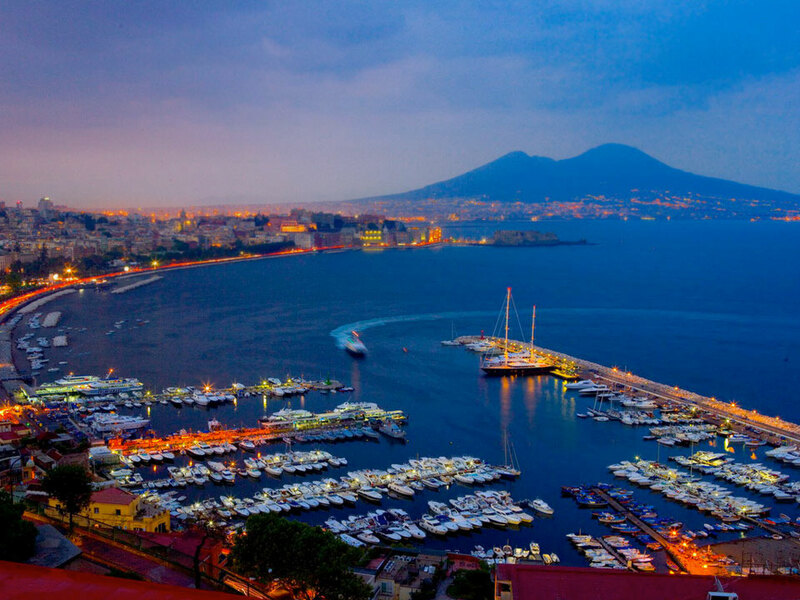 City of a thousand souls and a thousand faces, Naples is seductive and unforgettable. 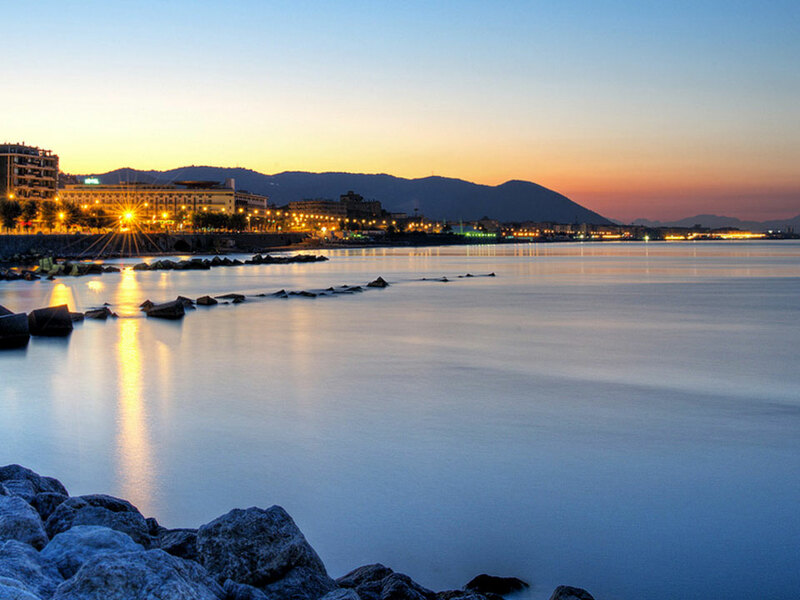 The historical centre, with its precious alleys full of churches and ancient palaces, the Vomero area, the parlor of the city, the Borgo Marinari with the legendary Castel dell’Ovo, Piazza Plebiscito with the great colonnade of the Basilica of St. Francesco di Paola and the Royal Palace. Elegant and popular at the same time, Naples has many wonderful suits: the classical one, the baroque one, and even the contemporary one. 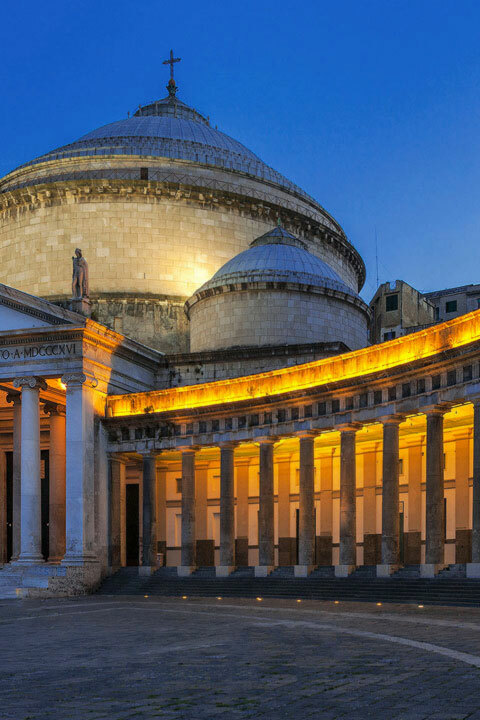 History, art, and nature coexist in harmony in the city of Salerno, which amazes visitors for the extraordinary beauty that discreetly and flawlessly guards: The Cathedral, the Arechi Castle, Piazza Campo with the Vanvitelli fountain, and so much more. 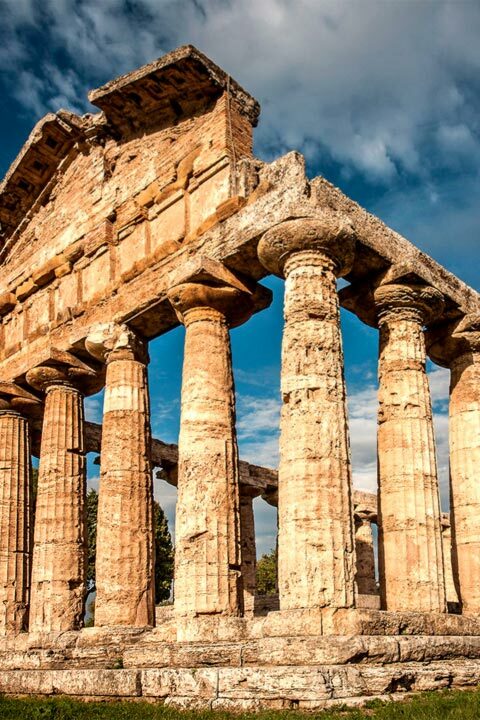 At 40 km from Salerno, the archaeological park of Paestum, with its majestic and fascinating temples, and the Archaeological Museum, which tells the story of the city from Ancient Greece to modern times. 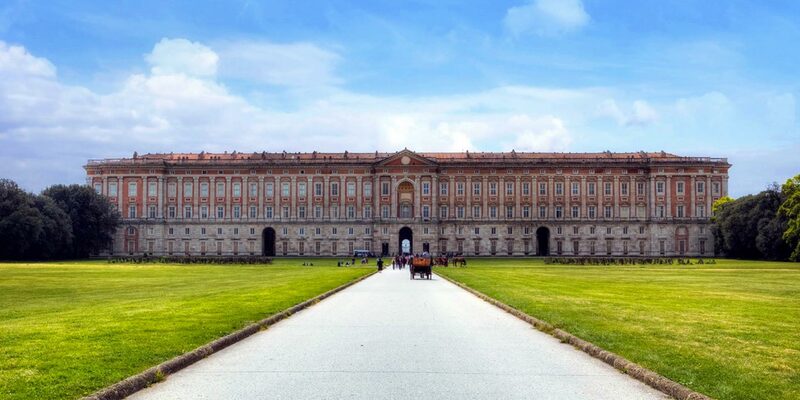 The majestic Royal Palace is the favourite destination while visiting Caserta. The park is one of Europe’s most beautiful, protected by UNESCO as a World Heritage Site, with its gardens, ponds, and fountains supplied by the historical Carolino aqueduct, the palace always leave visitors completely breathless with its stoic apartments, furniture, and works of art. 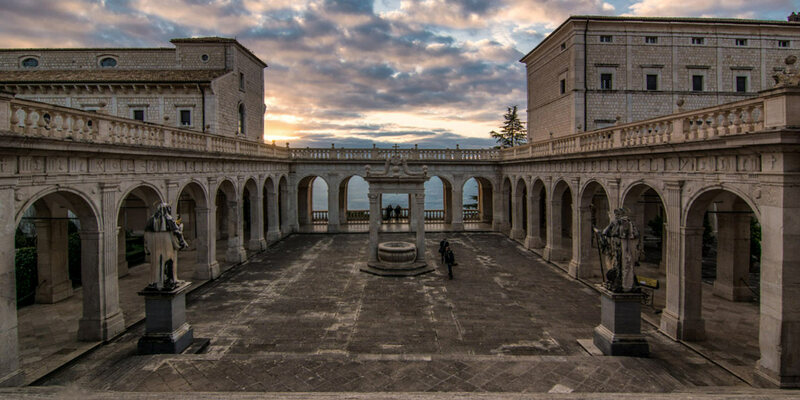 A city with an illustrious past, economic and cultural historical capital of southern Lazio, is famous worldwide for the Abbey founded by St. Benedetto da Norcia. Among its cloisters, it is not just the monks who have a stroll, but also thousands of visitors every year, that thanks to the Abbey museum can learn about fragments of a long and troubled history, made of destructions and rebirths, the last of which dates back to the 1944 bombing.